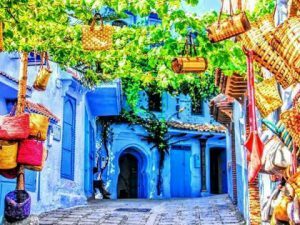 After being relaxed in Tangier, We pick you up towards Chefchaouen making a stop in Tetouan ,also called the Spanish city. 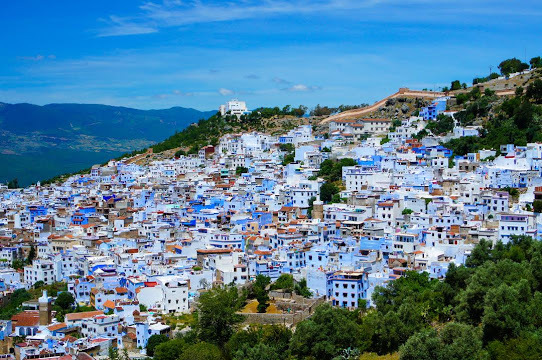 In the afternoon, you will have guided tour in medina of Chefchaouen ,the blue city. You will walk through its narrow streets and old houses painted in blue and white. You stay for dinner and overnight at a local hotel. Today, you departure towards Fez stopping and visiting the interesting archeological site of Volubilis. 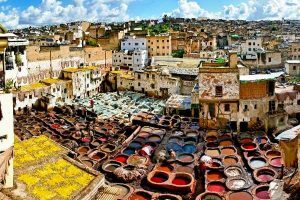 You will have short tour in Meknes before heading to Fez which is considered historically the religious and cultural centre of Morocco. 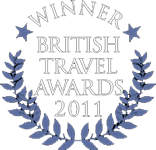 You will spend this night in a local riad or hotel. During the third day of the tour, you discover Fez with its monuments and interesting places such as: Medersas –Koranic schools: Chahrij , Bouinania Attarin. You will also explore souk , Karaouine Mosque and the first university in world (Karaouine university). 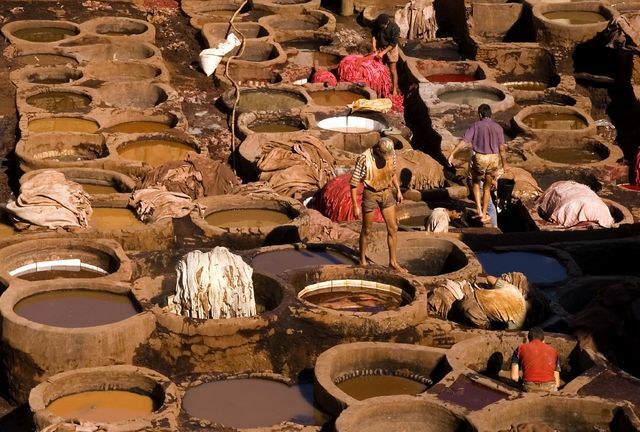 This is an opportunity to visit leather tanneries too. You stay overnight at a hotel in the Medina . 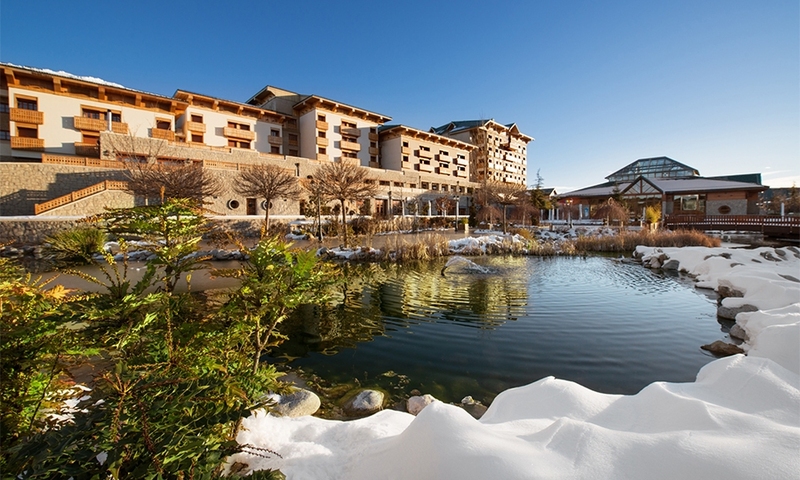 From Fez you drive to the Middle Atlas , where you will visit Ifrane , well-known as the Switzerland of Morocco. Then you pass by Azrou – Berber village known for its handicrafts and carpets. 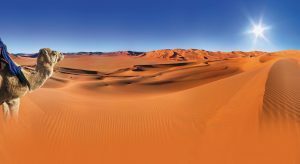 After that, you drive to Midelt – which is famous for its minerals, then Errachidia to reach Tafilalet palm near Erfoud and then Merzouga desert. 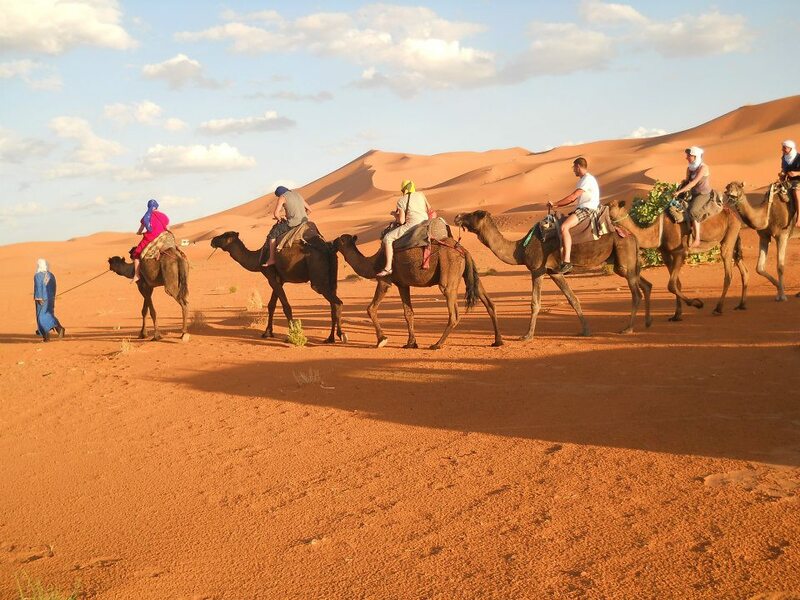 You will ride camels and do the trekking inside the sand dunes. You will have dinner and spend the night in a desert Berber camp. You do your departure and go through different towns with very specific distinct characteristics; Rissani , Tinejdad, Tineghir to end up with a walk through the gorges of Todra. You drive through the Dades Valley and visit Kelâa Mgouna town in the valley of roses. In the afternoon, you arrive to Ouarzazate in order to see the Kasbah of Taourirt and Local Movies Studio. 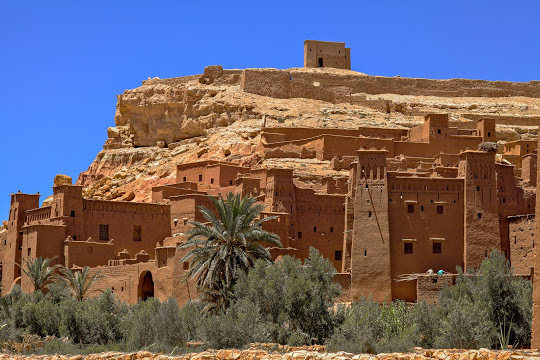 You will drive to visit kasbah Ait Benhaddou – kasbah listed by UNESCO as a world heritage. You continue your private tour towards Tizi n’Tichka mountain pass. After driving for a couple of hours, you arrive to Marrakech in the afternoon and stay in a local riad near famous Jamma el Fna square. Today you will have a rich day in terms of visits. 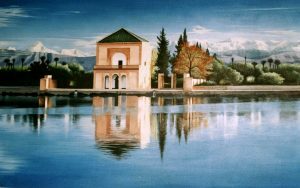 Therefore, you will get the chance for a guided tour in Marrakech city. 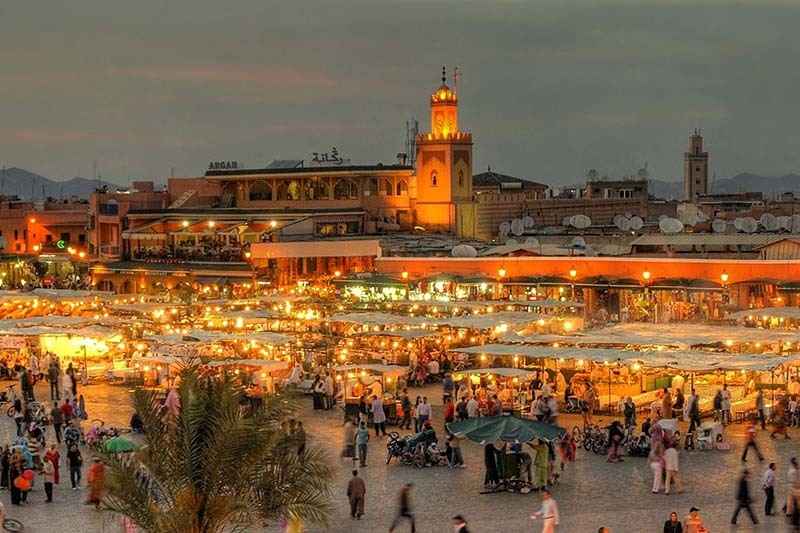 You can visit the famous Plaza Jamaa el Fna, watch snake charmers, musicians, dancers and storytellers. 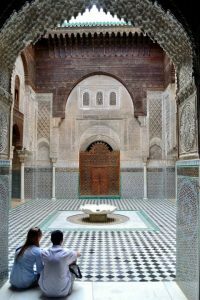 You may also visit the ancient school known as Madrasa Ben Youssef , the Menara Gardens near airport, the Dar Si Said Museum and the Agdal garden. 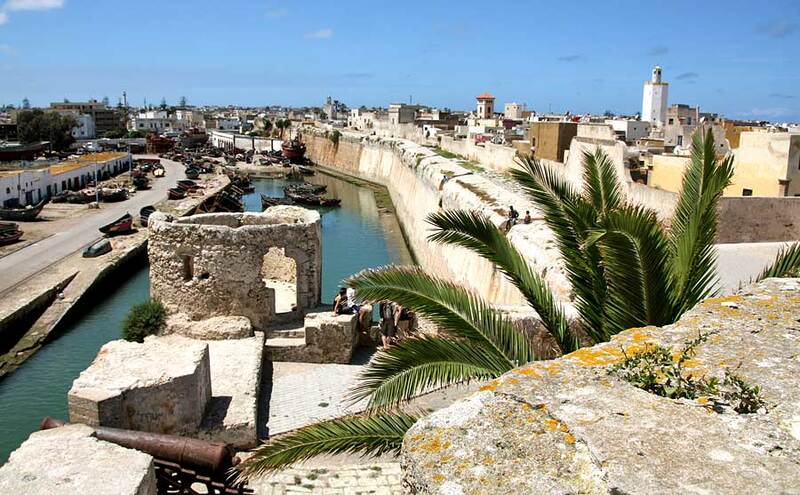 Afterwards, you continue your tour visiting the Saadian Tombs and El Badi and Bahia Palaces. Finally, You will spend the night in a local riad near Jamma el Fna square. We pick you up to the airport and that will be end of your private tour. 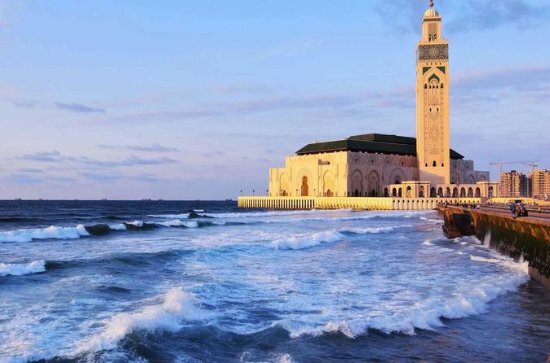 NOTE : It is possible to modify this Morocco culture Tour, If you would like to end up your trip in Casablanca or Tangier or elsewhere.